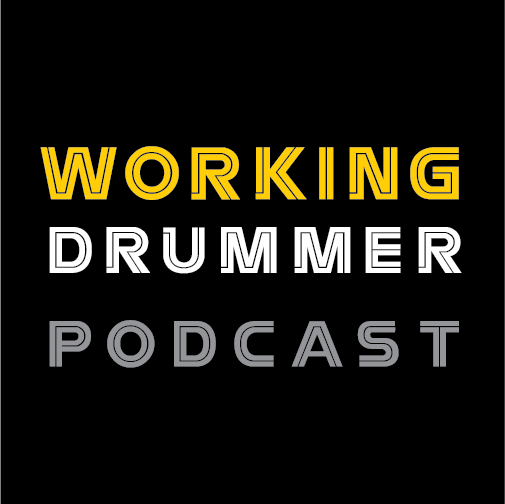 My first drum tech gig came about in 2001 when my friend Donald Tardy (Drummer of Obituary) called me and explained his new music venture with the then unknown Andrew W.K. Donald asked me to be his drum tech and our first tour would be a few months later headlining a 30 day UK and European tour. At the time I had been playing 4 nights a week in a Country band. My answer to Donald was YES, I’ll do it. This being said, I had no experience as a drum tech or even what my duties would be other than setting up a drum kit. So, our touring began late January 2002 and ran the entire year with only a few days off in between tours. We toured the world, performing in Japan, Australia, US, Canada, UK and Europe also doing TV shows which included The Carson Daly Show, Conan O’Brien Show and Saturday Night Live and festivals such as Ozzfest and the Vans Warped Tour (Ozzfest was the first time I had to fill in for Donald on a show, due to unforeseen circumstances). It was a crazy and fun filled year in which we ended 2002 as the opening band for Aerosmith on a 3 week Arena tour. Fast forward to 2004 when Andrew W.K. asked me to join the band alongside the current drummer. So I said YES. We did at least 20 shows with 2 drummers playing at times in sync with each other and at times totally different drum parts. At that time, I was still the drum tech and setting up 2 drum kits a night, running backing tracks during the show, mixing Donald’s in-ear mix and performing the show (on a 4 piece kit – Donald played a 7 piece). Meanwhile, I had to break it all down after the show and fulfill all the usual drum tech duties. During that time frame, Donald left the band to fulfill obligations with Obituary and I continued on as the drummer for Andrew W.K. from May 2004 until the present. During my down time, I accepted other drum tech gigs – which brought me back to working for Donald Tardy, as well as tours as Drum Tech and Stage Manager for Obituary. The Obituary tours were international as well, including US, Canada, UK, Europe, Central and South America. At times I would also be the only tech on stage – tuning guitars, checking mics and also running monitors (and sometimes being the FOH Sound Engineer). All this on-the-job-training led to other tech gigs as well, which included: Napalm Death, Krisiun, Unleashed, Mastodon and Trivium. Through it all, I remained a drummer and took tech gigs when playing gigs were slow. I recorded drums for Andrew W.K.’s 3rd studio recording in 2006, ‘Close Calls with Brick Walls’. 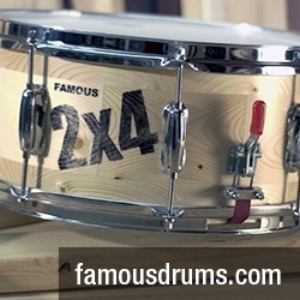 It was also in 2006 when I was fortunate enough to land my first endorsement with a major drum company. My very first drum set as a teenager was Gretsch. So, when it was time to look into an endorsement deal, I reached out to them first. I soon became a Gretsch Drums endorser, along with Gibraltar Hardware, Sabian Cymbals, Evans Drum Heads, Gator Cases – and last but not least, the Best Drum Stick Company in the World, Vic Firth Drumsticks!!! I’ve been very proud of my endeavors, challenges, and achievements to this day. With Andrew, I have headlined major festivals Internationally and did major tv shows as well including the Conan O’Brien show, this time as the drummer. Fast forward to 2013, I packed up the family truckster and moved from Tampa, Florida to Music City USA: Nashville, Tennessee. Living in Nashville, I hit the ground running, taking any and every drumming gig I could. Little did I know that already having an “artist gig”, I was automatically treated better than the standard Nashville Newbie. I still had to take the lesser gigs, but my stage experience helped me through the trenches. I was able to sustain living in Nashville my first 2 years without having to work a day job. I was also fortunate to land quite a bit of drum recording sessions. Times were tough though and Andrew W.K. was only doing occasional dates so, an opportunity to drum tech again fell in my lap and – as much as I didn’t want to tech anymore (because I moved to Nashville to PLAY, to land that BIG gig…) – I jumped at the offer to be the Drum and Keyboard Tech for Night Ranger. Ever since it had been a great gig and I couldn’t be happier. The band members are all wonderful people and players. The crew is top notch. I am thrilled to work for such a great drummer, Mr. Kelly Keagy (also a Vic Firth Drumstick endorser). I was definitely influenced by the band in my formative years. So, What makes a good drum tech? A good drum tech knows his/her role and duties. Set up drums, tuning, maintenance and upkeep. Changing heads, polishing cymbals, wrapping drumsticks. What ever it takes for the drummer to walk on stage and have a flawless performance due to the hard work the tech has provided. Ordering cymbals, heads and sticks etc. In today’s world, we have it a little easier than 20 years ago. I simply take inventory of what we have and place orders accordingly by emailing the different company’s A/R departments and ordering divisions. Then the goods are shipped to various locations depending on when and where we need them. During the show, my presence is on stage with eyes and ears open and not off in the corner on Instagram or Facebook. I wear a set of in-ear monitors and a wireless pack. I am listening to the entire band – and can tell that if a technical difficulty has occurred, I’ll deal with that situation immediately. Kelly has a ‘panic’ button by his foot pedal that by-passes his vocal mic – only myself and the Monitor Engineer can hear what his need or request may be. Setting up keyboards, risers, checking microphones, putting out stage towels and water for the band as well as set lists. There are many, many things needed to prepare for a great show. This is not a 9-5 job. Sometimes loading into the venue can occur at 1 AM… it has happened and will happen again. There are many 12-14 hour days from load in to load out. We are the unseen soldiers of rock and roll who do the down and dirty work – the tech’s or “Roadies”, as we were commonly referred to in the past (Jackson Brown wrote a cool song about techs (Roadies or Road Dogs) – check it out sometime! Does a good drum tech have to be a drummer? No. I have seen many good drum techs in the past who were not true drummers themselves. In my opinion, being a drummer can help you be a good drum tech – but isn’t always the case (though I believe it IS the case for myself). Plus, there’s always a circumstance when the drummer you are tech’ing for cannot make the show. Well, the show must go on – and in my case it did. So, if you ARE a drummer, be open to the idea of being a tech as well (it just might land you the drummer position in that band). Is the job worth it? Kelly Keagy always text messages me after each show with great and kind words of praise to acknowledge me. That alone makes it worth it to be an important part of the crew that goes above and beyond on a daily and nightly basis – and to know that I am appreciated. That’s my take on drum techs. Thank you all at Vic Firth for asking me to be a part of this! You can find out more of what I’m doing at www.richierusso.com/.